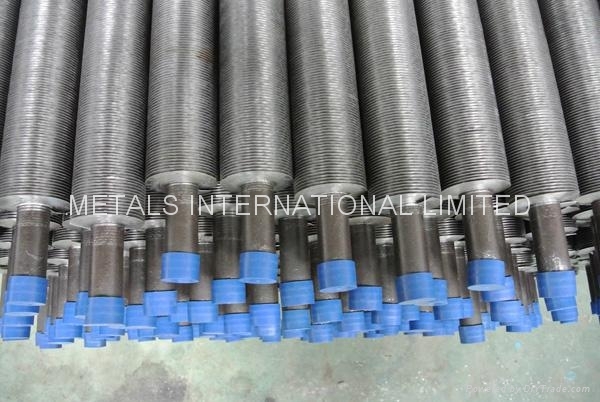 G type embedded spiral finned tube is processed from a certain width in the steel pipe and spiral groove depth, then inlays the ribbon on the steel pipe by the equipment. In winding process, as the pre-tightening force to a certain extent so the strip will be firmly in the spiral groove, to ensure there is a certain contact area between steel band and steel pipe. In order to prevent the strip spring falling off the light tube, the two ends of the steel strip need to weld onto the steel pipe. In order to set easily, there should be a certain clearance between steel belt and spiral groove. If the clearance is too small the setting process will be difficult to proceed smoothly. 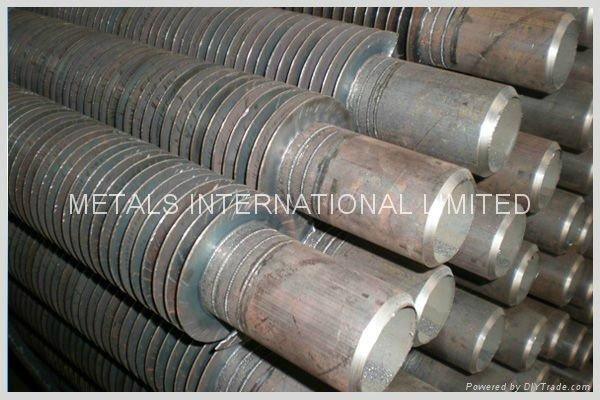 In addition, the steel belt of winding there will always be a certain amount of rebound, which makes it cannot very good joint among the steel belt and spiral groove bottom. Inlaid fins can be conducted on general equipment, and they cost little. With the advanced production equipment, slotting embedding technology is advanced, from stable, embedded and firm, pulled off force not less than 70 n, the allowable temperature can reach 400 ℃, has the strong ability of temperature resistance and thermal shock, widely used in petrochemical air cooler.